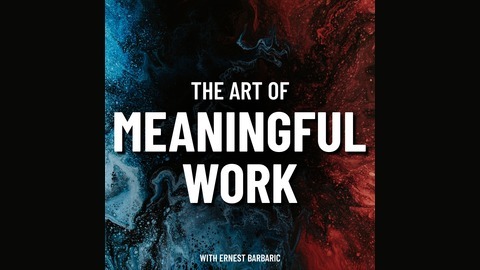 Art Of Meaningful Work explores practical ideas to help you build a well-lived, interesting life around fulfilling work. It's enjoyed by executives, leaders, and entrepreneurs who want to level up, launch side projects, change careers, make an impact, overcome self-doubt, and build a legacy. You’ll hear from forward-thinking entrepreneurs, authors, and everyday people like you and me on the journey to meaningful work. [Part 2 of 5] What can you do now to plant the seeds for future opportunities and career pivots. 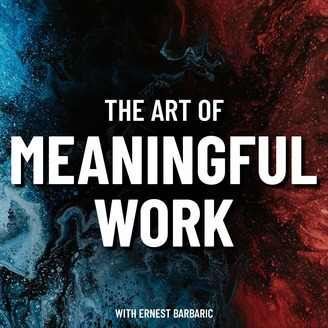 In this episode, we touch on a talk by Steve Jobs and how "making dots" intentionally is the best way to create the scaffolding for your future career and business possibilities. * What can you do now to set yourself up for a future career pivot. * How LSD, yoga teachers, and calligraphy influenced Apple. * How to use your interests and passions to create future business opportunities. * You have 30,000 days of life to live. What will you do with your time? * Growth happens at the edge of our comfort zone. * Bring awareness and intentionality to your activities now, to create a better future later.